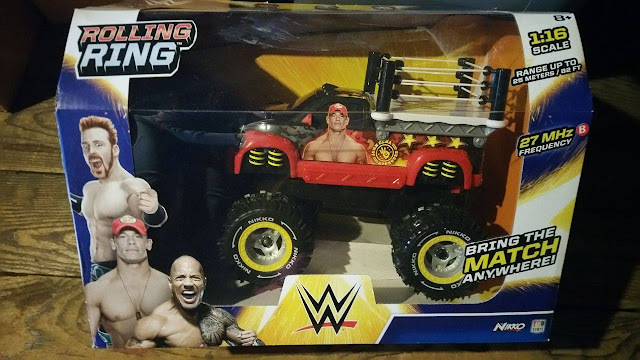 We were sent the John Cena version! 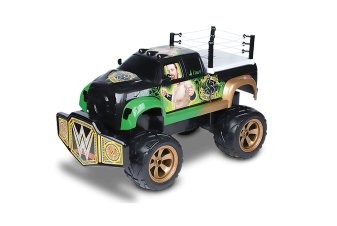 The WWE Rolling Ring is a 1:16-scale 27MHz tri-band truck (allowing for three players) with a top speed of 6.2 mph, and a range of 82 feet. Great for indoor or outdoor play. Great gift for ages of six and up.